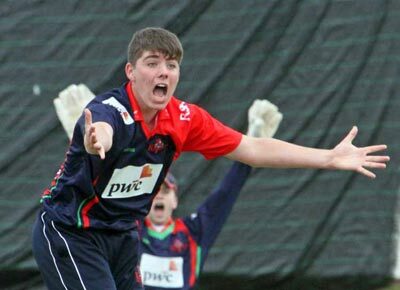 The latest list of confirmed transfers published by the NCU feature a number of players returning to previous clubs after deciding that the grass isn't greener on the other side. Many of the moves have already been reported on, but one that escaped our notice was Davy Dawson moving back to Irish Senior Cup holders Waringstown from nearby Donaghcloney Mill. Luke Allison (pictured) - a promising Junior Knight - is also leaving Donaghcloney Mill, heading to join North Down. Keeper Jamie Magowan announced his move to Comber last year, while Jay Hunter is leaving, heading to Cregagh, but on the credit side they have Andrew Bingham joining from Lurgan. The revolving door is certainly busy at North Down, with bowler Mike Grossett returning to Bangor. There is plenty of speculation flying around the region about possible moves and signings, with one or two NW players being targeted. It promises to be a busy 10 weeks before the season starts.